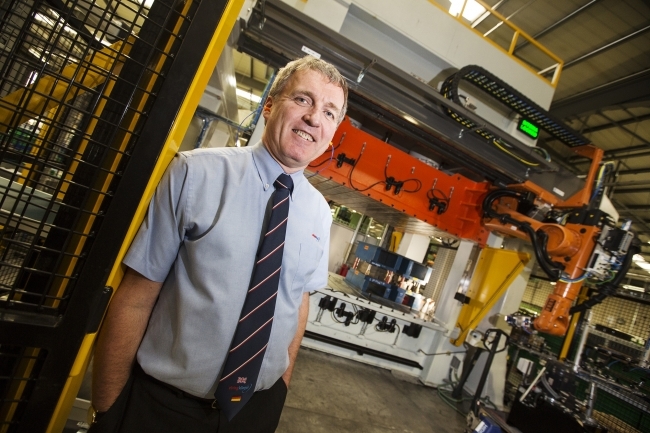 Automotive parts manufacturer ElringKlinger (GB) has outlined ambitious growth plans after experiencing a strong 12 months despite the initial impact of Brexit. Following a successful 2016, which saw product sales total £21m, ElringKlinger has set its sights on growing this figure by 50 per cent in 2017 thanks to contracts with some of the biggest names in the industry, such as Jaguar Land Rover and Ford. To accommodate the significant rise in production at ElringKlinger, which over the past eight years has tripled its workforce and now employs over 300 people, the company plans to recruit another 30 direct operators during 2017. ElringKlinger is also set to continue its commitment to engineering the workforce of tomorrow as it plans to further grow the number of apprentices it takes on this year. Already employing 27 apprentices, which equates to nearly 10 per cent of its workforce, the company will build on its existing close links with local education providers, including Teesside University and Middlesbrough College. Further investment in the Redcar site is also planned over the next 12 months with an increase in car parking capacity to accommodate the larger workforce and a strategic plan to modernise the tool store and materials storage facilities. ElringKlinger (GB) managing director, Ian Malcolm, said: “Like most businesses we have felt a certain impact from Brexit but with our clients globalising projects are becoming much bigger and it’s hugely promising to see the sales pipeline looking so healthy. We have invested strongly in the last five years, with £14.5m alone going into new equipment since 2012. “The North East boasts a highly skilled employee base and we have plans to add up to 30 new recruits this year in line with our growth. We firmly believe in the importance of apprentices and will continue to invest time and money in an attempt to bridge the skills gap.